You have added Angelica Beige Lace Panel A-Line Dress into shopping cart. If you're looking for a beige lace rehearsal dinner dress, this is a gorgeous option. The Angelica Beige Lace Panel A-Line Dress has a rounded neckline, wide shoulder straps, an empire waist, and a flowy A-line cut. 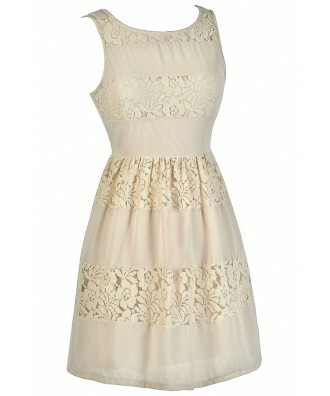 This dress is made of beige fabric with horizontal panels of lace throughout, creating contrast. A hidden side zipper completes this look. 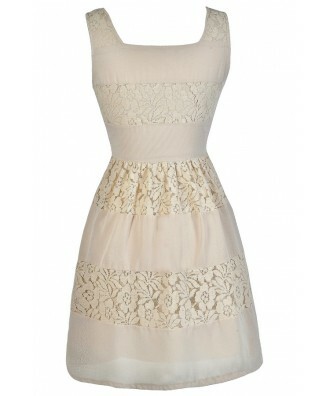 The Angelica Beige Lace Panel A-Line Dress would look nice paired with beige pumps or wedges. 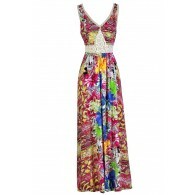 You could also dress it down with flat beaded sandals. 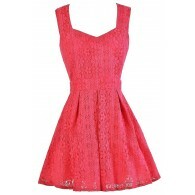 This is a great dress to have in your closet to wear to almost any occasion. It has an understated natural feel to it. Details: Fully lined. Hidden side zipper. 75% cotton, 25% polyester. Lining: 100% polyester. Hand wash cold water separately. Color will bleed. No bleach. Hang to dry. Small measurements: Length from top of shoulder to hemline: 33". Bust: 33". 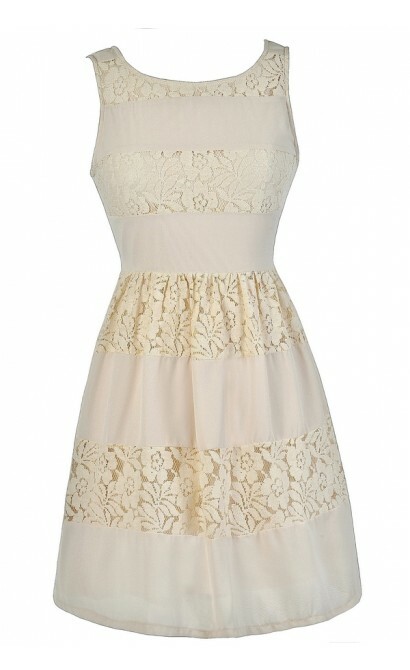 You have added Angelica Beige Lace Panel A-Line Dress into Wishlist. 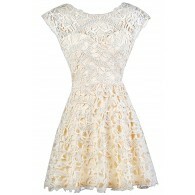 You have added Angelica Beige Lace Panel A-Line Dress for Stock Notification. 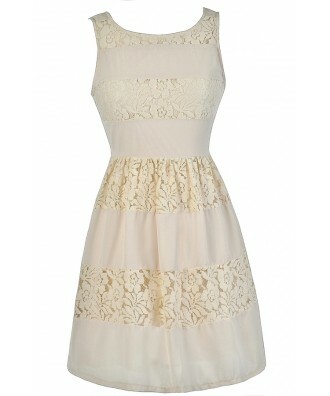 You have set Angelica Beige Lace Panel A-Line Dress as a loved product. 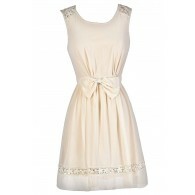 You have removed Angelica Beige Lace Panel A-Line Dress as a loved product.